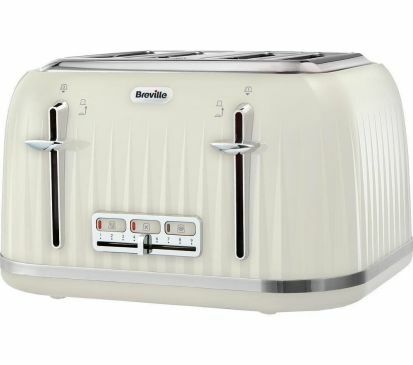 This 4 slice toaster is an instant classic, and one of the most popular from Breville. With a distinctive ridged texture and a stylish glossy finish. It is a ‘high lift’ model, so we can all easily remove toast, crumpets and other goodies from this large capacity toaster without putting their fingers at risk. Not only can it handle 4 slices at a time, the 2100 watts of power allows for a wide range of bread products to be toasted quickly and evenly, complete with the ‘Lift and Look’ mode, which allows you to examine the state of your toast (and other bread products) without interrupting the toasting cycle. Should your toast go cold before you can enjoy it, this model has a Reheat mode that will warm the toast without burning it! 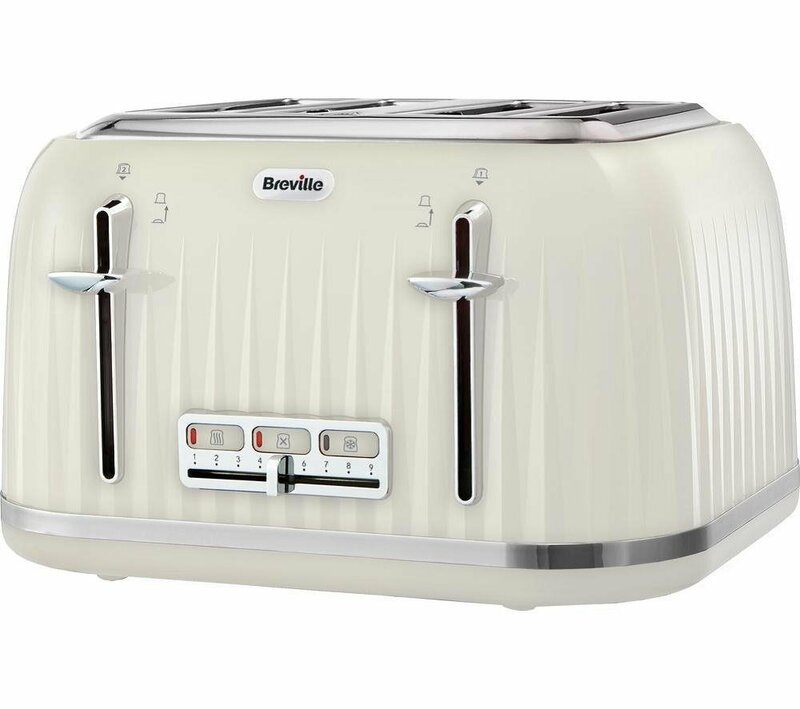 Also has a defrost mode even allows you to toast bread and other toastable food straight from the freezer.